Dataone has been responsible for initial concept development, design, project development (client & server), upgrades and support. Google Play Store listing here. Due to our strong Software Development and Electrical Engineering backgrounds, this relationship is a perfect fit. We are collaborating with Auzion to develop effective solar power management systems. We began a project with a small backpacker travel company in 2003 where some major back-end accounting problems were initially solved and a new travel desk management system was implemented. 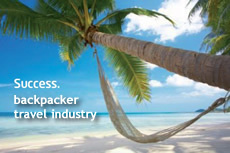 From that point until 2010 we have nurtured the company, creating innovations that have underpinned their success which has resulted in the company holding lead position within the Australian backpacker travel industry. They needed to expose their vast and complex travel product database to 3rd party agents and as a result, Travel Product Portal was created. Major features include multicurrency products, date sensitive availability, integrations to product availability systems, SAP integration and multi-layered product management. Due to the significant volume of business conducted between Greyhound and its biggest customer it became necessary to tighten the integration between the businesses. Our innovations have been used to reduce human error and labour that previously occurred between the parties. We designed integrations between the two systems that effectively streamlined and optimised the manual processes the companies were previously restricted by. We consulted regarding a solution by which the fluid business processes of Talk Communication could be fine-tuned and mangaged over time, resulting in efficient workflow.